We’ve a real treat for you this Bank Holiday week. 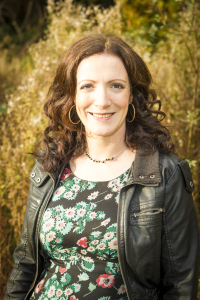 Our guest blogger is none other than Eve Ainsworth an established writer who’s just published her first book for young adults. A huge welcome to GHB Eve. Thanks for calling by to tell us about 7 Days. 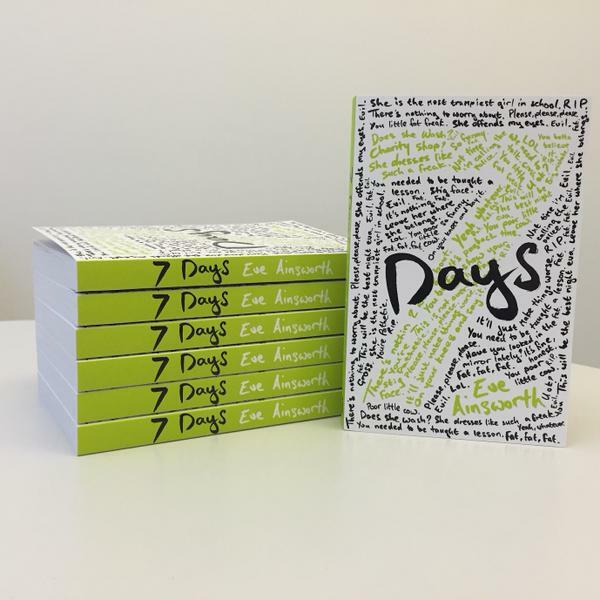 7 Days – the Story behind it. A few weeks ago I received a comment from a teen reader about my book. She liked it, but she found it hard to understand why I’d want to write about a ‘mean, selfish bully’. This comment sat with me for a while but the simple answer was – I felt bullies had a story too. 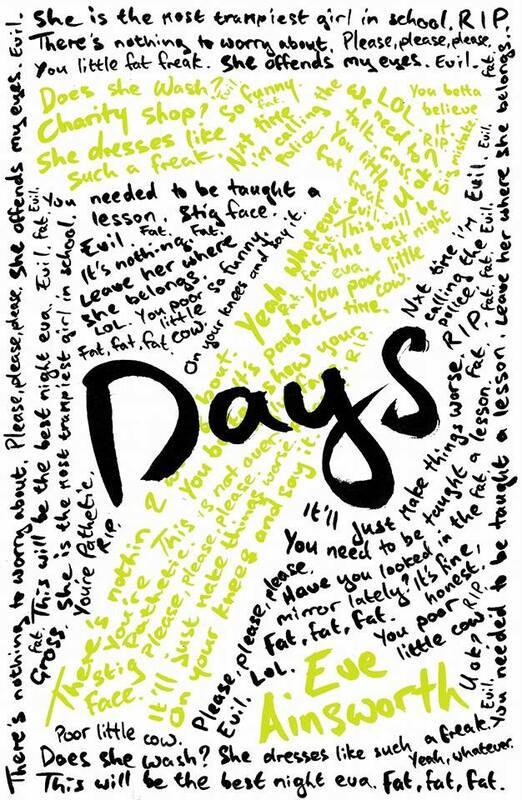 I think I’ve always wanted to write a bullying story, I’d just never fully realised it. As a teen I was a victim of bullying myself, and found solace in a battered book in my school library about a lonely, tormented girl who didn’t quite fit in. I felt like someone else understood what it was like to be targeted. I felt less isolated. I read Enid Blyton books (always returning to them) and was particularly intrigued when a bully struck – I enjoyed reading about the change of dynamics, the shift in tension. But as a young girl, I could never understand what would make someone target another. To me it could never be justified. Bullying was inexcusable. Things shifted for me when I started working within secondary school. My role was a Pastoral Support Assistant – really a triage system between teachers, students and home. I would talk to teens about issues that were effecting them, things that made their school life difficult. The most common issue was bullying – from general name-calling, to more severe, protracted campaigns of intimidation. Of course, I would always be moved by the victim’s story, by their concerns and fears. But what surprised me was how I felt towards the ‘bullies’. As I took time to speak to the aggressors, I’d often see another character – young teens battling with different pressures. One boy in particular really moved me. He had been picking on younger students for ages, and no-one knew why. He was like a brick wall, impenetrable -until one day he finally broke down and admitted that he was being severely bullied outside of school. He felt like a pressure cooker ready to explode, and instead of talking to someone his issues – he took his frustrations out on others. He wanted to feel in control of something. Sadly, he wasn’t the only bully to have a story. He wasn’t the only bully who was a victim too. 7 Days unfolded so naturally. I knew I wanted to tell both sides of the story. I wanted the tension to build rapidly and I wanted the ending to be right for my characters. But above all, I wanted to break down this image of ‘mean, selfish bullies’. People make choices and sometimes they make the wrong ones. It doesn’t make them ‘bad’ but it does suggest that they have issues too. And sometimes, just sometimes, they need guidance to help get things right. Thanks Eve for stopping by to share your story with us. Good luck with 7 Days. It sounds like a gripping read. Previous post ← You’ve got the power! Does this come in audio book format as most books I now listen to to make use of my commuting time.